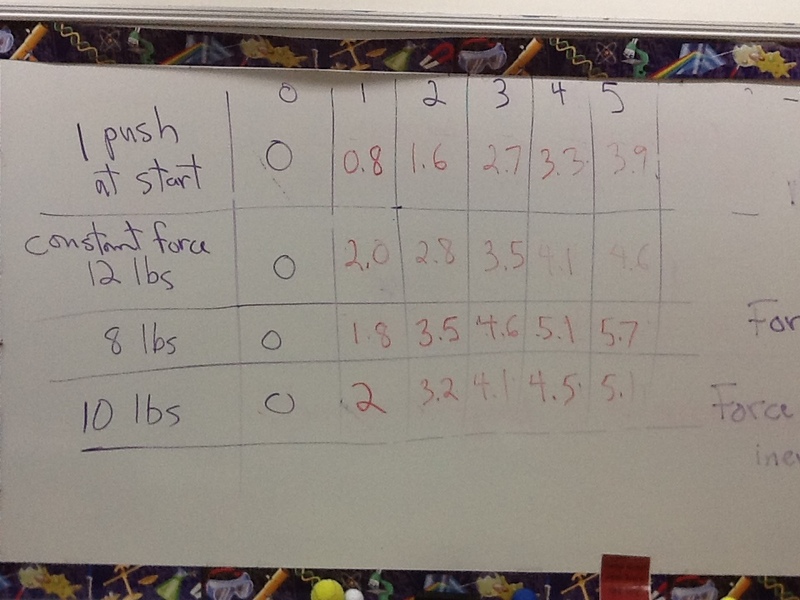 10 Feb. Science 7 An experience with force. 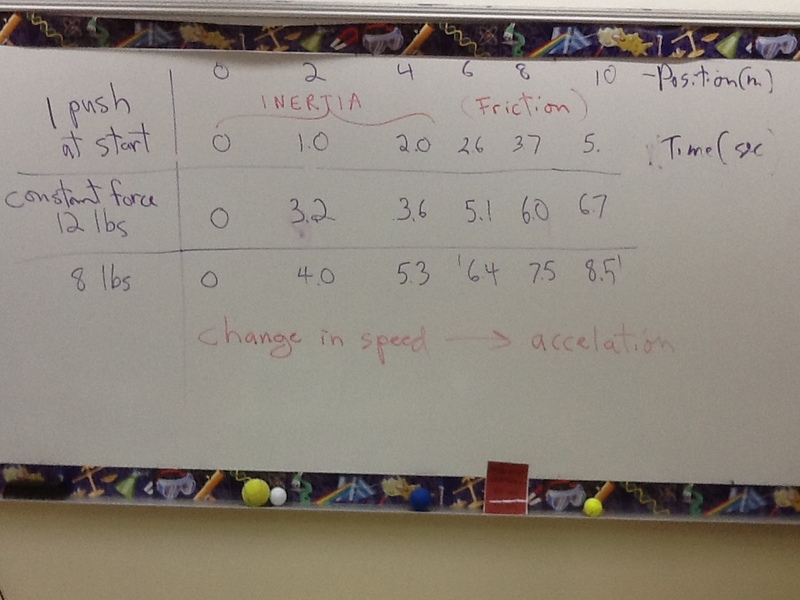 Acceleration. Velocity. 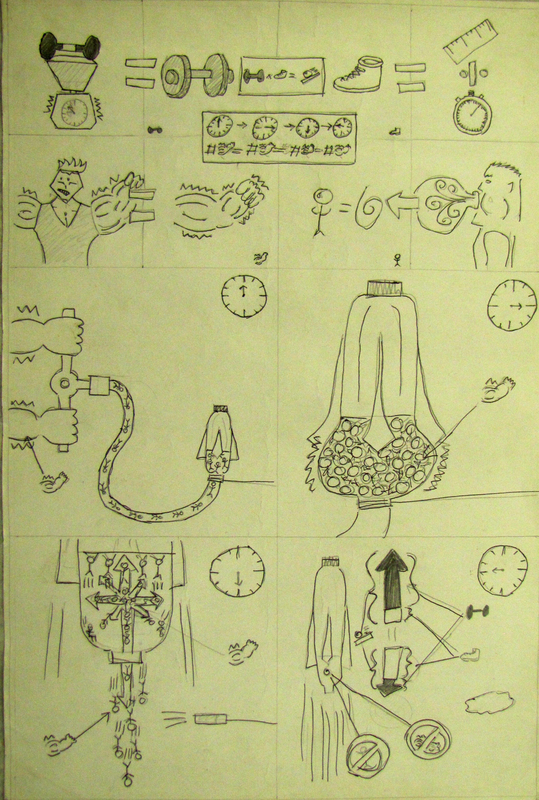 Newton’s 1st and 2nd Laws of Motion. Momentum and Conservation. Newton’s 3rd Law of Motion. 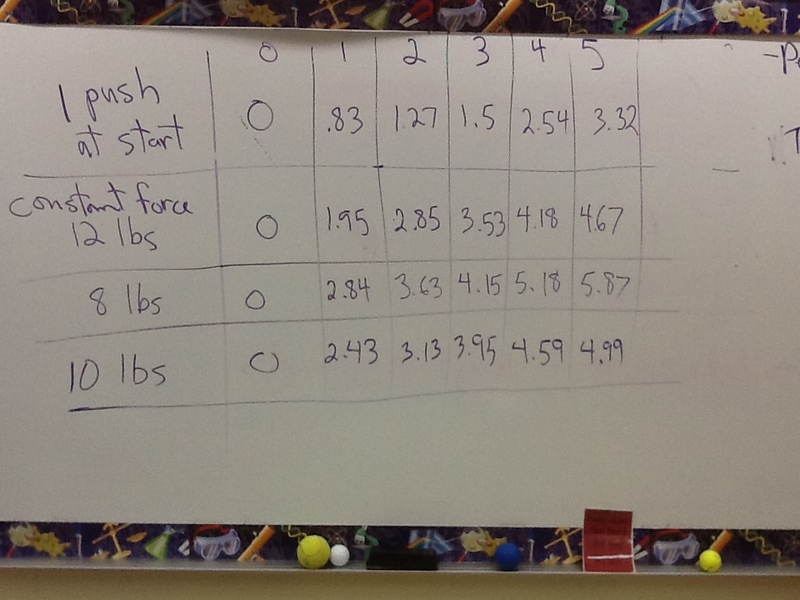 Data from cart pulling below. Construct a graph (follow guidelines). How does the graph compare to your first prediction? Discuss. Find the average speeds for 0-1 meters; 1-2 meters; 2-3 meters; 0-1 seconds; 1-2 seconds; 2-3 seconds. How does the average speed seem to change? Think of what a scientist’s concept map of motion might look like. The resistance to change in inertial motion is inertial mass. When Galileo began his work (observing a very smooth ball rolling down an inclined plane), he wondered if the speed would change with respect to distance or time. Momentum is mass times velocity. Momentum has a magnitude and direction. (mass x meter / second and a direction). Momentum is conserved. What parts of the article relate to ideas about velocity (speed and direction)? Explain. Express your questions. 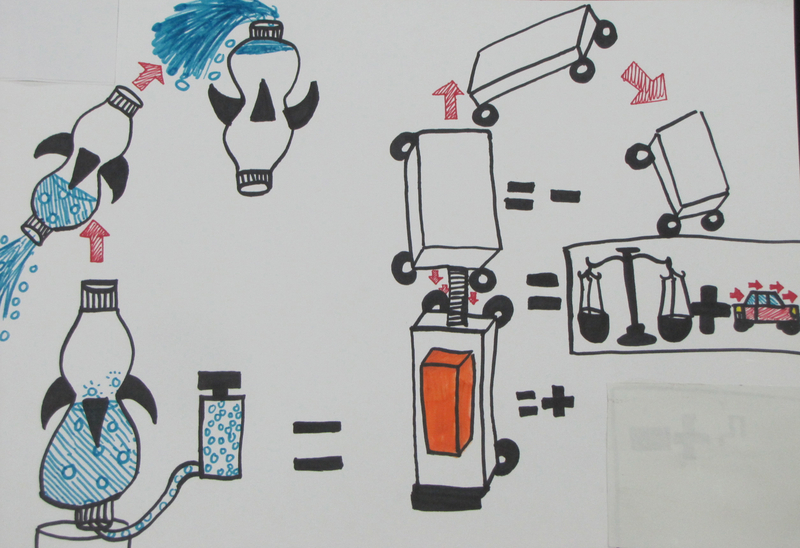 See students visual explanations of the air-pressure water rocket. What do they suggest about Newton’s 3 law of motion and conservation of momentum?